Did you know that being an underdog could be your biggest advantage? But how you look at an obstacle, shortcoming or problem could be the reason why you feel stuck. Today's podcast is all about how to turn your story into the fuel to propel you to the life you've always wanted. Maybe you haven't started that business yet, fired an employee that is holding your company back, or been posting new ads for your company even though you KNOW you need to. Here's a simple trick to start tackling problems in every area of your life. Do it TODAY... stop overthinking, make it a priority and take action! What if there was 3 things that were holding you back. Study and implement these 3 things and watch your business, life, and relationship grow and prosper! If you think negative about the world, your job, your spouse you are destine for negativity, failure or even a bad relationship. The beliefs you have and tell yourself are often the thing that is holding you back. You need to shift the thought you have about the world and the life you live. Change your story and watch your life turn around! People always ask me "what is the key to success". Fact of the matter is success doesn't come easy and there is no magic money machine. A dream so big that you wont give up and you wont take no for an answer. Dream big, NEVER give up and watch your dreams turn to reality. I want to share 3 simple steps that will help you achieve more in every area of your life. The most important thing you can do is to get rid of the things that don't empower you, make you a better person, or waste valuable time. Start prioritizing you time, energy and focus to see massive progress today and for the rest of your life. Have you appreciated anything in your life that was free? I want you to imagine what your grandfather, father, or even ancestors had to go through to give you the life you are living right now. Think about all the hardships they had to overcome... this small habit will make you entirely grateful for what you have. Change your mindset... Change your life!! What if there where two simple tricks to achieve your next level? If there is one thing I have learned over the years it is to LOVE the process rather than be guilty if I don't accomplish what I want to that day. They said I should play it safe, work for a salary, stay loyal to a company and climb the latter. If I listened to this advice I would most likely still be broke! That's why today, I want to share with you the biggest breakthrough I found in my career... and how you shifting your focus can give you the ability to turn your dreams into reality! If you're not selling, you're dying. Because Sales & Marketing are the oxygen of every successful business! So if you want to run your own business, you have to learn the art of persuasion and be selling yourself... and here's how to become great at sales, without being a sleazy salesman! What is it that would really take your life to the next level? Where is it that you want to go? What does your health, your income, your relationships look like? Most of us are sailing across the ocean with no navigation, just floating and hoping our life get's better but it simply doest. You don't fall upon success, it doesn't land upon your lap, I wish it did... but it doesn't. So here's a 1-week challenge to help you get started on the right path today! 3 Ways To Take Action Even When You Don't Want To OR You're Scared! A better version of me will always be on the other side! So today, I'm going to share 3 ways you can take action even when you don't want to or are scared to! in this video you’re going to see how an eighteen year old spends $200,000 or so a week for me on my advertisements. He didn’t go to college, he didn’t get a marketing degree, he just became obsessed on studying courses and personal education! Sometimes we get delusioned by the "success" we see online, and we lose sight on what success actually means to us. So today, let's talk about success, what it means to me right now and how you can find out what it means for you and your next level of happiness in life. Who is course correcting you in the wrong direction? Who is making a negative impact in your life? What is bad advice costing you? Where Does Happiness Come From? Does Happiness Really Come From Within? Is happiness if everything in your life goes specifically how you want it to is that when you feel happiness? Is that when you feel fulfilled? Because it has my attention, it has my focus, I obsess on gaining capabilities. If you want EXCELLENCE in any area of your life, it needs your attention, it needs your focus, it needs you gaining capabilities and it needs you to be fearless and to take action, that's the ONLY way it's going to happen. But I get to use these things that happen to me, to share with you how I've used a few simple steps to overcome anxiety and worry for good! So my message today is, where can you adapt HUMBLE POWER in your life? Where can you have more humility? Where can your quiet confidence come out? And where can you take your life and your potential, and ramp it to your next level? 3 Simple Habits To Create Your "OVERNIGHT SUCCESS"
But what if you shifted that framework, and your obsession was to find what's right? Do you have enough confidence you need to go after what it is you want? Today, I wanted to reflect back on a previous weekly wisdom I filmed about how to take your confidence to the next level! 3 Keys To Filming Videos That Sell, Make An Impact & Help Tons of People! Think about in today's world, there's so much content out there. Today, I share 3 parts of a video that are a MUST if it's going to be compelling and keep them watching! Today I want to talk about Success Traps. When you think you're somewhat successful, it is so much harder to get out of it. That's when a lot of times we don't make a move. With so many opportunities and social connection, we never want to miss a thing. But did you know that having FOMO can be crippling to success? Start seeing who needs to go. How simple, winning negotiations can be. In fact, what I'm going to share today is so powerful that I'm going to ask you not to use it unless it benefits everyone! Stress Management - How To Make Stress Your Superpower! And all of a sudden you're day goes from amazing, to crap... just like that. How To Make Stress Your Superpower! Welcome to this special New Years Eve edition of the Millionaire Success Habits Podcast! Because today I'm going to tale you you through a strategic exercise, so you can set goals that stick in 2019. Most people believe the successful are gifted, lucky or somewhere in between the two. But what they did have, was grit. Grit to keep pushing forward, keep trying, and keep winning. Here's how you can do the same! How many times have you watched a motivational video in your life? And felt amazing? But then a few days later... nothing was different. How many times have you read a great quote that maybe hit your heart and the quote kind of snapped you out of it for a little bit, but did anything change in your life on a long term basis? Today, I want you to know the difference between inspiration, motivation, and give you actual Success Habits that move the needle in your life. How many times in life has a decision HAUNTED you? When was the last time you hard to make a HARD Decision? Today, Dean's going to share 3 Ways To Make Lightning-Fast Decisions Like A CEO, so you can stop avoiding what needs to get done, and make hard decisions, effortlessly... enjoy! Envy, comparison, jealousy... is an absolute KILLER in life. Think about it, when you have feelings, or emotion of envy do you feel like moving forward or do you feel like climbing in a hole? Do you feel inspired do you feel motivated? Have you ever felt lost, stuck, or confused on your path to success? Maybe you want more income, wealth and abundance… but you just don’t know what to do, or how to get there? 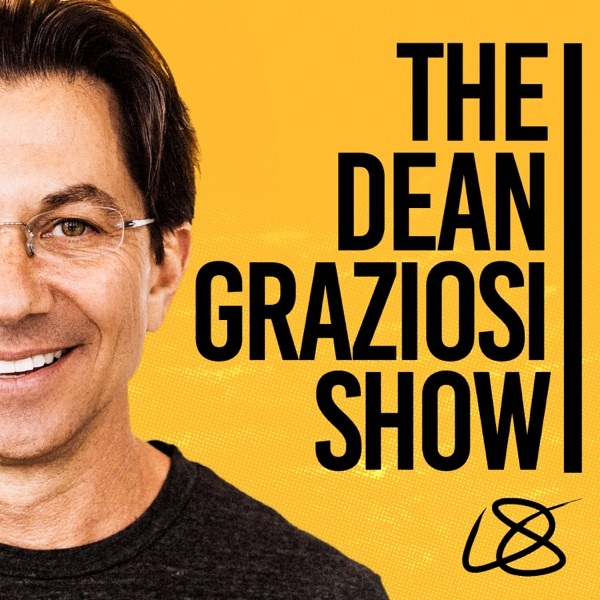 Today, Dean is going to walk you through a LIFE-CHANGING 6-Step exercise he’s been using for years, to help you determine what's truly important, so you can eliminate those time wasting tasks and focus on the BIG projects to help you achieve your next level of life! 3 Ways To Teach Your Kids About MONEY - How To Build Sustainable WEALTH! "How do you teach your kids about money, especially if they don't grow up in poverty or they don't grow up needing anything?" So today, I'm going to give you 3 aways to talk to your kids about money. If you LOVE what you do, if you know you make an impact on people's lives, that fact of the matter is you're doing people a disservice, if you don't learn marketing & sales at the ability to get them to take ACTION! Do you ever get confused and not know what's next? What I’m about to share can be applied to your life now, and at any point in your future. I’m gonna give you the perspective and mindset you need so you can DESTROY all obstacles that come your way. And you're ignoring it, but you still let that influence infect you like a disease? "Dean, I could do A LOT more in life if I was YOUNGER..."
"I could do A LOT more in life if I was OLDER..."
Literally everyone thinks that their age is not the ideal place! What in your life, if you could cut a check right now, would solve problems for your family? For your debt? For your life? For you health? What if tomorrow you woke up, and money wasn't an issue? It was something you never had to worry about, never had to think about... what if it was as ABUNDANT as oxygen? If money was not an issue, who would you become? Want to know the coolest things about life? We can re-invent ourselves at ANY moment! Who gets to tell us, that we have to live our past mistakes? Crumple the paper up, and throw it away! Light the paper on fire, and then let's declare who you're going to be TODAY! More than ever, I've been having people ask me; "What's the SECRET to success?" And I feel like they want this ONE answer... they want something MAGICAL, like this one thing they hear where they finally go "AHA! That's how he did it!" So, I gotta be very real and raw with you today. How To Be MORE CONFIDENT & Enthusiastic At The SNAP Of A Finger! What's the difference between energy and enthusiasm? And how does that affect your life, your abundance, your income and your success? So many times people have said to me "God, I wish I was born with YOUR energy...", and I've found ways over the years to hack my thoughts and become more energetic and enthusiastic every single day! If you ever want to start a business, run a business, scale a business, make an impact on the world... you better know how to sell. Was Mother Teresa a saleswomen? Was Martin Luther king a salesman? So today, I want to talk about the difference between an emotional buyer and logical buyer, and the #1 reason WHY people don't buy what you're selling. How many times in your life have you followed your gut... and had success? And how many times in your life have you went against your gut? You still did the partnership, you still did went through with the bad relationship, you still took the job... whatever it was, to find out that you're gut was right? Today I want to share a little exercise with you to help you realize when you're gut is right or wrong in your life for your success! Welcome to the world of success, today we go DEEP on how to push past that fear so you can achieve your full potential! Simple Mindset Shift To BOOST Your CONFIDENCE! Have you ever done anything in your life effectively, positively, with influence, or with impact when your confidence is down? Most likely... the answer is no. So how do we keep our confidence at peak? Or how do we call upon our confidence when we need it? How BIG are your problems? Are you're worried about gossip? Are you're worried about what other people have to say about you? Are you're worried that you don't have the support that you should have? Do you do things for other people but they don't go it back or do you do so much for other people and they take advantage of you? If you think about these things on a regular basis... YOU DON'T HAVE BIG ENOUGH PROBLEMS! And there seems to be so many "influencers" that got rich overnight and make it look so easy. Well, today we need to talk about it, and really break down what it actually takes to achieve the level of life that everyone's showing you they live on social media... but aren't really living. And I proved everybody wrong. I want the same for you! What is a clue that you're going to be successful? What are the different clues to your next level? What are the different clues that you're getting closer to making more money? What if you were already good enough? What if you were built exactly the way you were supposed to? What if today you realized you're perfect to start or scale your business? To get to where you've always wanted to be. How has your progress been? How has 2018 been in your life? Why don't we prep right now? Or even as big as taking the leap of faith and finally going ALL in on your side hustle. We would rather avoid it, but we KNOW we need to do it to get to where we want to go. And how that can be SO important to your happiness, your success, your joy... because that all goes together! Money without happiness is pointless, Happiness without money you can still struggle right? So why not have it all? So how important is it to you to surround yourself with a growth mindset? You see too often we get caught up in the MAGIC money machines that will solve all our problems once and for all... sound familiar? It should... because online today that's all we see. Well today, I want to share with you what I believe is a MUST HAVE in order to get to that next level in your life. What thoughts are you having right now that don't serve you? Here's how to analyze your thoughts that help fuel your true beliefs! Are you spending money on the right things? Do you really know what success is? Do you realize that some of the things you're spending money on will give you just a bump of happiness for a week, a month, or even 6-months... but they're not sustainable? In this podcast i'm going to share with you how to put your money in the MOST important places to get you to your next level of life. SCREW Your Weaknesses & Strengthen Your SUPERPOWER! Screw your weaknesses and double down on your STRENGTHS! In this podcast I'll cover 3 millionaire habits that FUEL your confidence in life and business. The best part? You'll be able to start doing these habits today! Take action. And I'll see you at the top. The #1 mistake I see budding entrepreneurs make is they keep spinning their wheels with "busy" work. This can lead to years of frustration and no progress. In this podcast, I'll reveal the 3 steps to entering a "flow" state when you work. So you can get 4x more done in half the time. And start doing work that actually moves the needle of your business forward. What is the SECRET to becoming a master at your craft? How do you make it so YOU are the obvious, go-to expert in your industry? It's not always about having the "right" skills. But rather, the right MARKETING. And that's what we're covering in today's podcast. So what do you do? How do you ensure that you are THRIVING when everybody else is struggling? This podcast contains the answer. Enjoy! It's constantly refining, and honing your craft, even when nobody else is paying attention. Do you ever find the little things in life throw you off your game? THIS is the key to eliminate unwanted stress. And finally start living a more FULFILLED life... Especially on your pursuit of success. Do you know what makes ANY business thrive? Sales is the LIFE-BLOOD of your business, and living your best life. The fact of the matter is, everybody is a sales person. From the person who applies for a job. To going on a first date. To the baby selling their parent on why they NEED ice cream. And if you aren't aware of this, then you are essentially FAILING as a persuasive human in society. Making your pursuit to becoming a millionaire (and achieving your next level) nearly impossible. Do you have enough time to build your dream business? Look, we all have the same 24 hours in the day. But how are you using yours? Listen to this story, and start taking action on it today! Your better life, your dream business, and your next level are just a few simple shifts away. Here's my take: I LOVE being frustrated. Because it means I'm on the verge of a massive breakthrough! Use it as ROCKET FUEL to your success! You can grab a free copy of the Millionaire Success Habits book! Are you ready to join a group of high level people? Are you ready to gain wisdom and learn from different perspectives? You will still have to TAKE ACTION, but this will take you to the next level. Surround yourself around the people that you want to be like... Eventually, you will become that!!! Project your goals for the future. Take action by tracking your progress. This journal exercise has saved my life and taken it to the next level! Are you listening to your inner hero? Or your inner villain? Too many people listen to the inner villain: money is evil, you can't do it, don't go after that job, etc. It's time to defeat the inner villain and start listening to your inner hero! But that doesn't have to be the anchor that your drag across the desert. Let it drive you to your next level of life!!! Have you ever failed so horrifically that you thought everything was over? Were you so down on your luck that you thought you couldn't make a comeback? This is your "action audit". Are you putting in the extra work into your daily life? Are you actually implementing that work so that it turns into results. Knowledge, wisdom, or masterminds... They are great, but you have to implement it with action. Where are you at on your 2018 New Year's goals? It's time to prioritize those that you are lagging on. Think 3, 4, 5, 6 months from now... How are you going to get there? Is it a need? Or do you just want it? Understanding the difference can be a major key to success. People don't do what they need to do... They do what they want to do. Having trouble getting people to want your product? Are you trying to start or scale a business? Differentiate the things that truly matter and the things that don't. Don't take advice from those that aren't playing at the highest level. Want to know how to start a successful business? Living a healthy lifestyle leads to a successful life. Your body, your mind, etc. Being an underdog may actually be your superpower. In most stories, the underdog comes back and wins. Are people calling you a dreamer? Do they not believe in you? Don't let that crush you... Let it drive you! Write down or think about 10 things that are cool about you! Remind yourself how cool you are, what you've overcome, or the successful decisions you have made. Let it boost your confidence to achieve the next level. Forgiveness is one of the foundational habits in success. The amount of energy you put into being angry and frustrated, you can transfer that energy into good energy by forgiving. This is a competitive world, you need to save your energy. Why not save it by forgiving? Are you feeling afraid to sell? Yes, "sales people" can sound pushy or sleazy... But think about the time that you were sold the best. What made them sell you? Where does your foundation begin? What voice in your mind is controlling every move? It's time to transform your life into the successful result that you deserve, but how? I have something to say that I haven't made public yet. Do you feel like you're the underdog? What's the definition of an underdog? Maybe a lack of money, friends or direction. Whatever it may be, don't let it make you play small. Habits, values, growth, spending time with kids, being a partner, or running a business are all examples of priorities. What priorities do you have that are driving your life the wrong way? Where are you wasting time on things that shouldn't be a priority? It's time to prioritize your life, and drive it to success! Success isn't an overnight phenomena... It is a lengthy process with many ups and downs! The struggle is known as success tax! Everyone pays it... it's normal. That's totally okay. But how can you get through this test to be the best version of you? Winners win when no one else is watching. Need examples of how to win? Do you close deals for your job, or even for a side job? You may be missing the secrets on how close the deal. I'm going to talk about the #1 secret! Sometimes, you have to put aside your difference by showing unconditional love. The emotional intelligence allows you to be the best version of you. Are you struggling trying to show unconditional love? We all have road blocks and frustrating cases that pop up. You need to LET IT GO. That is the best way to move on. Control your means by focusing on the bigger picture. Let it go, and use that energy to instead steer your ship towards success. Are you wasting any time being someone that isn't you? If you're being someone else, whether it be in front of a boss, or a friend, then are you truly serving the best version of you? One of the keys to being successful is knowing who you are. Learn how to be one version... the BEST version. The level of your problems determine the level of success. Think, I can handle the next level of problems. Life paints us a picture inside the box... But the life inside the box is playing life too small. Be UNIQUE. You need to think a little differently. Start playing big by playing outside the box. Marketing and sales are the oxygen to every company! Do you want to be a badass marketer but not sure how? It's time to gain your next level of life! Are you struggling solving problems and juggling time? What can you do to prioritize and gain exponential results? How can you do it? Is life easier living it the hard way? Or, is life harder living it the easy way? Do you know how to pick your pain?